The web page ‘Top ten Reviews’ has done a partial review of some GSM/GPS locators on the market. The review isn’t exhaustive but does give an insight into some of the locators available in the US market. All of these systems are basde on mobile phone technology so while they are useful for locating a payload on the ground, they are useless at any distance above ground level and away from the mobile phone mast network. The GT 280 has been used successfully as a back up tracker by Project Stratosphere in Germany. Most enhanced GPS trackers using mobile phone technology offer the ability to use a ‘pay by message’ service as well as an annual contract service. The exception is the Garmin GTU 10 which is just an annual contract service. The Loc8tor company (http://www.loc8tor.com/uk/ ) is discontinuing the ‘pay by message’ service and moving all of their clients to a pay by month service. Often HABists will only use as little as 10 location messages per flight, which makes the Garmin and now Loc8tor trackers an uneconomical option for HAB. 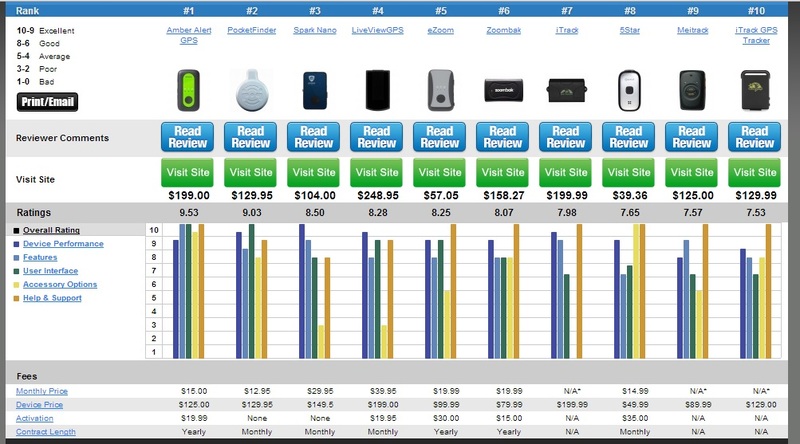 Below is a comparison chart for trackers and the sim cards they take. 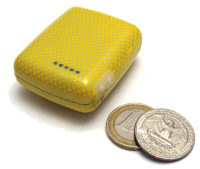 Bearsecure, a German security product manufacturer, now market an enhanced GPS tracker. The unit, called Anywhere 1, has been designed to fulfill the functions of a standard GPS tracker using the mobile phone network. As with similar devices, the units GPS coordinates are returned to a predefined mobile phone via text message after the unit is called. 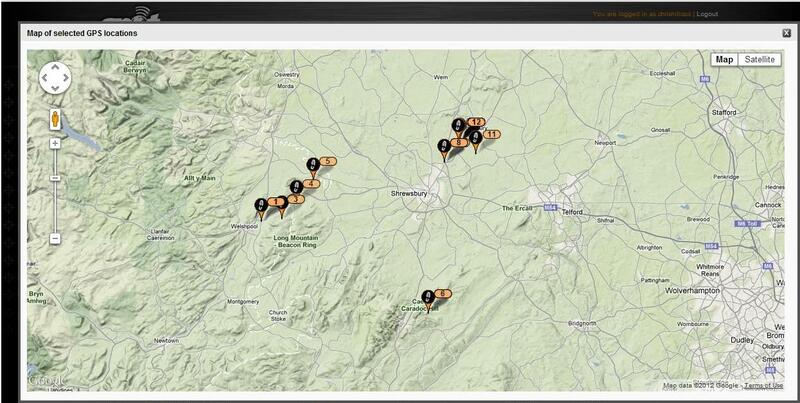 The unit also has online tracking, standard to most current generation trackers. Anywhere 1 stands out from others in the market by it’s robust design. It is waterproof to IPX-6 standard (heavy splashing but not immersion) and operates down to -20 degrees Celsius. It also uses an integral battery. On the 29th October 2012 The University of Southern Indiana used the Garmin GTU 10 as tracking for it’s failed of a paper plane in the stratosphere. Unfortunately for the project the weather balloon burst en route to a planned drop altitude of 100,000ft (30,480m). The team recovered the command tracking pod, camera pod, and the release pod/plane, thanks to a Tiny-Trak TU-401 APRS unit. Here’s the flight track (click on the pic for a bigger version). Geronimo itself was packing a Garmin GTU-10 tracker and a Tiny-Trak TU-601 APRS. The latter “initially gave a correct reading prior to launch and then gave anomalous readings throughout the flight”, Professor Kissel noted. That wasn’t the only malfunction the plane suffered. Kissel said: “Somewhere before or after burst, we’re not sure, the nose cone of the plane fell off (it had been cemented on shortly prior to launch), and our two tracking devices fell out. Jack Sweet was the lead of the paper plane tracking device team and has given an overview of using the Garmin GTU. Jack said, ” Initially it was believed that we only had to log the release of the paper plane with a time stamp and altitude with the help of an APRS TU-401. Once the guidelines were received from Guin., it was found that we had to track the entire accent and decent of the plane. Thus, we had to switch to a different form of location device and place it into the plane. The selected device was an APRS TU-601. We also included the Garmin GTU-10 for redundencey. To begin, I will give you the pros. The price of the unit used was approximately $200.00. Included with the purchase, a 1-year subscription to the service was included. In addition to the baseline service, we also purchased the Deluxe Tracking Package for $4.99. This Deluxe package allowed the unit to enter a continuous tracking mode in which the user could define a time interval in which the Garmin would transmit location continously. The unit performed as needed when on ground level. The Garmin could transmit the position to within 15 feet of actual location. The unit also has an app for ISO and Android devices to allow tracking capability for anyone with a smartphone. Battery use of the unit was incredible. No problems there. The simplicity of the device, having only a power up button, left little room for error. Once the unit reached an altitude of 8,000 – 10,000 ft, it failed to transmit its location. Once the unit fell below this threshold on the decent, the Garmin reestablished transmission and the team could locate the attached equipment. The Garmin also does not offer a way to export the data in manner to be recorded. This kept the team from being able to plot the line of travel of the balloon. In addition, the data is only stored on Garmin’s website for seven (7) days. This put a time constraint into the equation in which the team had to gather as much data as possible to recreate the voyage. According to the US Garmin web site, the Garmin GTU 10 only works in mainland USA. https://buy.garmin.com/shop/shop.do?pID=67686&ra=true, however it has been used in HAB flights in Scandinavia. Mr Lee from CattraQ said, “After checking back with software development the problem is that the authorized number does not match the number of the incoming call. This can happen for example if you authorize your phone number in international format like +44321556677 but your phone provider is just transmitting the local format 0321556677. Please check if that’s the case. There are now a range of enhanced GPS trackers on the market so it would be useful to compare what is out there. TK102 is made by Xenun Inc of China. The unit has a cool feature in that it includes a google map link in the sms message. It is a real value product but is only tri band so don’t use it if your payload may drift over to the continent; intended or otherwise (http://www.xexun.com/ProductDetail.aspx?id=102). At the time the review was written, TK102 was available for £40 from Amazon.co.uk. *Warning* Many pirate copies of TK102 are available on Amazon and they come with very poor quality lithium batteries which obviously pose a safety risk. CattraQ Live3 is made by Mr Lee Enterprises in Germany/USA (http://www.mr-lee-catcam.de/ct_index_en.htm). CattraQ 3 is a big improvement on Cattrack2. 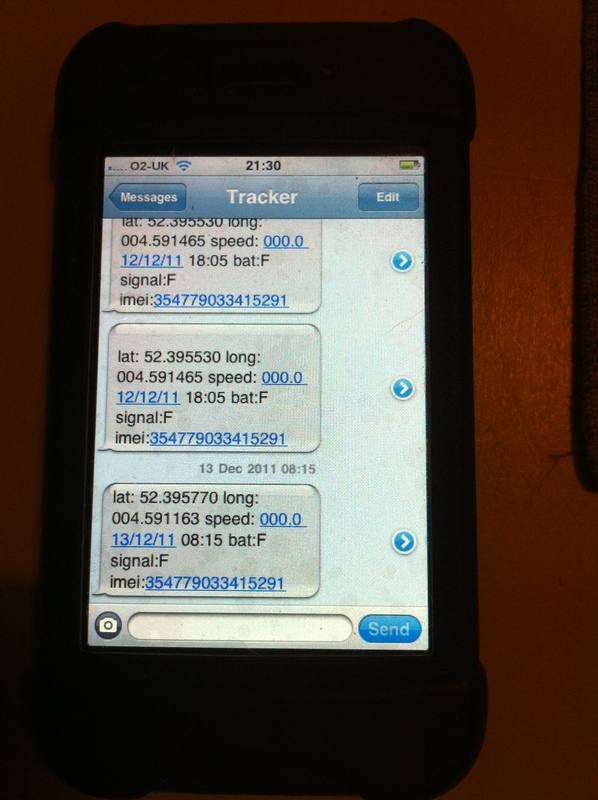 It has the standard sms tracking function as well as a live tracking mode using GPRS data networks. The unit also takes a 2gb micro sd card to record positions during flight. The sms location message as been improved to include a google map link. All of this, and the unit is less heavy than Cattrack2 at 44g. Cattrack can be bought from the manufacturers web site and costs £73. GT30B is made by Smart Tracker. Like the TK102, the cool feature of this unit is the google map link to the tracker location. The unit also has quad band function. Unfortunately it is on the heavier side of the range of trackers. At the time the review was written, GK30B was available for £68 from Amazon.co.uk. Pingmee is made by Defuturo Ltd (http://www.pingmee.co.uk/). The cool thing about this tracker is it’s weight. It is half the weight of comparable trackers due to the battery type. I have no data on battery performance which is a critical parameter. It also has a tracking web page and has UK based customer support. At the time the review was written, Pingmee was available for £65 from Amazon.co.uk. TK203 is made by Fordex. This unit has little to shout about. It is expensive and has only tri band function. Loc8tor pet GPS (http://www.loc8tor.com/uk/primary-products/loc8tor-pet-gps.html) is comparable to the Smart tracker and Cattrack. The big difference is the price tag at over 200 pounds. The unit does come with a free case and tracking web site but I cannot see and cool feature that justifies this price. Track Pod 2 is distributed by Track Shop UK (http://www.trackershop-uk.com/TRACK-Pod+2+LiveMap+GPS+Tracker-p-59.html) . It’s functions and mapping extras are broadly comparable with loc8tor. Also, as with loc8tor, there is no option to use a mobile phone simcard. The ‘credit’ on the tracker is topped up on the tracking web site. The basic unit costs £159 though does come bundled with 100 position credits and 25 command credits. Interestingly it has a sleep mode when stationary to save power and can be re activited by command. I short the TK102 wins on price and Pingmee wins on weight, but I do need more information on how it’s battery performs. Today I assisted on a project by South Cheshire college to launch simple payloads on 1200g balloons. I let them use my SPOT tracker with the second payload flown over Shropshire. During the flight the tracker produced 2 rogue data points (point 6 and 7) out by some 30 miles from the probable true location of the tracker. Thankfully the rogue points were not during the landing phase. Spot is a great tracker but I am now mindful that if can have glitches. The Cat Tracklive 2 worked very well and in line with manufacturers spec. I used this on mission 1 as my primary recovery device. At 80 Euros it was also cheaper than competitors, like Loc8tor Pet GPS. CatTrack live uses GPS and GSM technology to give you the location of the tracker during its approximate 48 hours of battery life. 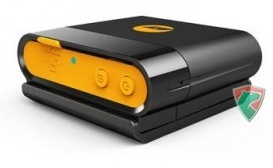 It is light weight, small, and uses standard pay as you go or contract sim cards (I used Orange) . In mission one the hand warmers failed and the payload landed in the Neatherlands but as soon as it was in mobile signal coverage, I was able to call the tracker and got a text message giving longitude and latitude. The trackers stand by time is 48 hrs (manufacturers spec) and I was able to use mine for something between 24 and 48 hrs with, during which I was able to contact it 6 times. This was on a full battery charge. The tracker could be improved by providing height data but this is a minor point. The manufacturer has recently upgraded Cat Track live to version 3 and we would certainly like to test it and hope that its low price is matched by the power of it’s predecessor. Our hope now is that with repeated use, the small lithium batteries hold their charge after deep discharges which are not recommended. Well worth the money for a secondary or primary tracker (if you are willing to risk missing a drop zone within mobile phone coverage). I recently purchased the CatTraQ Live 3 model and have been trying to test it for possible use in a research project i will be conducting, however when i program it using my phone i am getting messages like “Autrhorize okay” “Sms okay” “Loc okay” “Link okay” but am never actually getting any output in terms of GPS locations and i have no idea why. I have also brought the GPRS internet link package with it, have the log in details but whenever i choose a date and a time and click on my veichle and history it comes up with a window saying an error occured because there is “no date”. If you have any idea what could be wrong with it, it would be a great help. The blue light is flashing on it, it changes between 1 and 2 blue blinks per second. I have fully charged my device and it is lasting less than a day – the first time i charged it i ensured it was full and subsequent times i have been charging it overnight. I have contacted Mr. Lee’s support but they don’t seem to have much insight, you sound like you know what you are talking about and any help would be extremely useful and well received. the 1=mobilenumber want’s to say: your own mobile-number of the device that is authorized to get sms back from cattraq… once this is done… you can call your device using your mobilephone and then you’ll receive sms back.